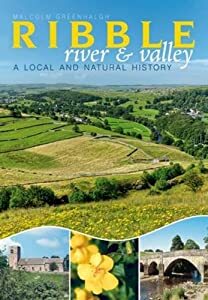 The River Ribble along with its many trubutaries, especially the Hodder, Douglas, Darwen and Calder, has played an important role in the history of the North West of England as well as flowing through some exceptionally beautiful landscapes. Here, this history is unravelled in 320 pages of concentrated information. A major contribution to the history of this region, with an emphasis on ecology and landscape in both rural and industrial areas. Around twenty-five miles north-east of the county town of Lancaster, nearly 550 metres above sea level, a tiny spring arises under the shadow of the famous Three Peaks. This is the source of the river Ribble. Along with tributaries of immense variety and interest - the Hodder, the Calder and the Douglas - the Ribble flows through some of the most beautiful and historically important landscapes in the country, finally to meet the sea twenty miles west of Preston. Anciently the Ribble formed a political boundary between north and south, as well as an important routeway from east to west; and today it still marks a stark contrast between rural countryside to the north and industrial landscapes to the south.In this unique and important new book, Malcolm Greenhalgh combines local history - Iron Age hillforts, Roman camps, monastic farms, ancient crosses in churchyards, farming practices and land use - with a comprehensive and authoritative account of the area's wildlife and how it has changed over time.The result is a book which explains, with rare clarity and insight, how the countryside we know and love came to be as it is today, as well as how human intervention has moulded many disparate landscapes in different ways over the centuries, right up to the present day.